Our Soundscape Projects start with series of community workshops. In these workshops we will explore the sounds of the environment and the sounds created by the people that have inhabited it over the centuries up to the present day. Ideas generated in these workshops will then be combined to create a larger work, which will be presented to the public at the end of the project. We invite both current area residents and those who do not live in the area but have a connection to it through their personal or cultural background to participate. Participants do not have to have specific musical skills – no experience is necessary to participate. If you do play an instrument, you are welcome to bring it. Both children and adults are welcome, but we recommend that children are accompanied by an adult. 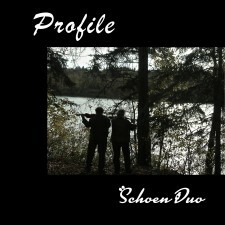 The Schoen Duo have years of experience creating meaningful multi-level musical experiences for people of all ages and backgrounds. If you have something you would like to contribute to a project, but are unable to attend a workshop, please contact Thomas or Kathleen Schoen at schoenduo@gmail.com We would love to include your ideas! Workshop participants are invited to participate in the final presentation of the finished piece, if they are comfortable doing so. This is not mandatory. Every Soundscape Project will be different, as it emerges from a different environment and different cultural influences. Our most recent one, the River Crossing Soundscape Project, is in the final stages of audio and video editing and will be posted soon. You can see rough cuts from the live show here.